Last post (for now at least 😉) from Flushing’s Yummy Tummy Asian Bistro at 161-16 Northern Blvd, the casual Singaporean restaurant. 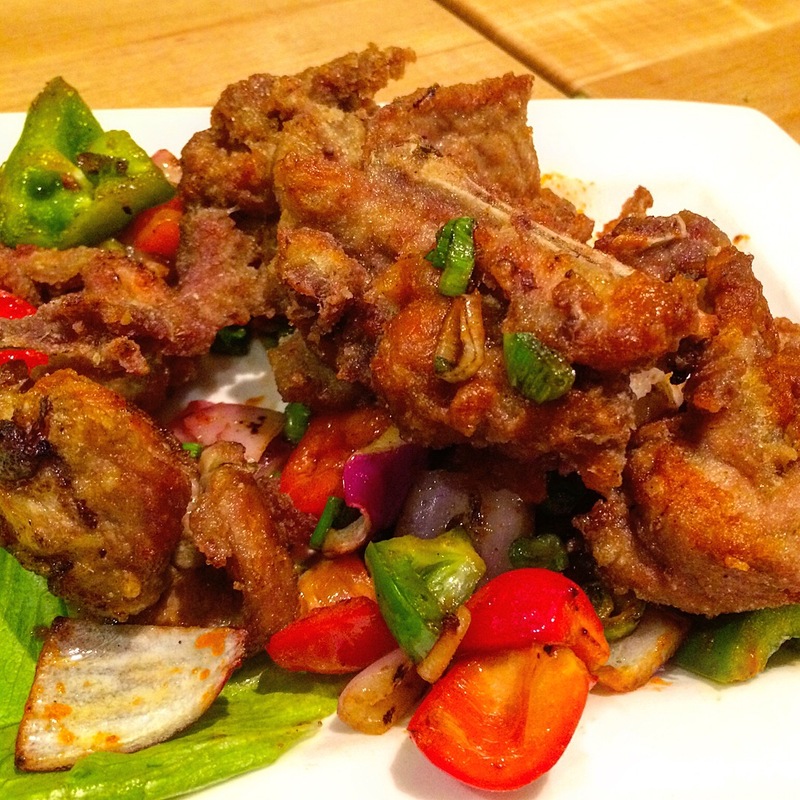 Soft shell crab is always delicious but it’s especially delectable in Yummy Tummy’s deep fried Chili Sauce Soft Shell Crab, bathed in spicy goodness. 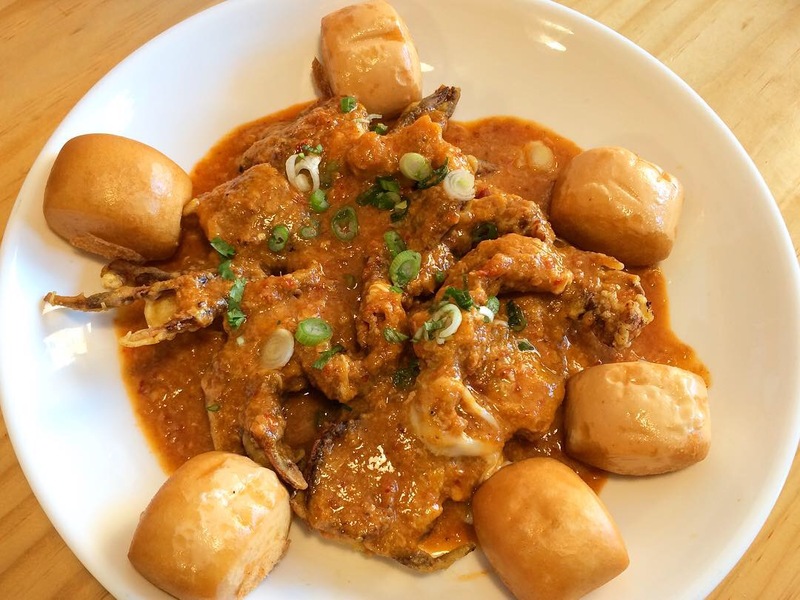 It was surrounded by fried mantou poised to soak up the amazing sauce – so good we asked for an additional order of just the buns to ensure that nary a drop would go to waste. 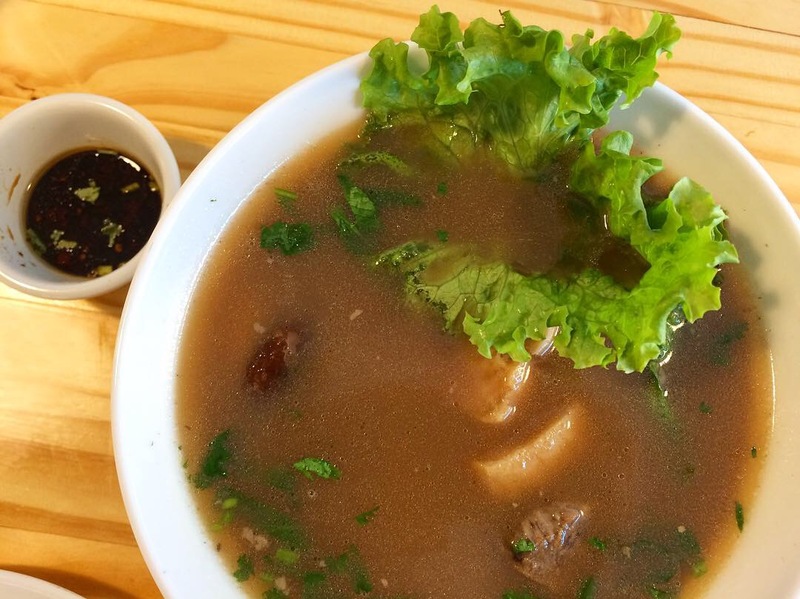 Bah Kut Teh is a mild, slow cooked pork rib soup made with Chinese herbs; the small size came with two ribs along with a few other bits of pork and some mushrooms. By itself, it left something to be desired, but it was served with a much needed sauce that was akin to Chinese dumpling sauce. 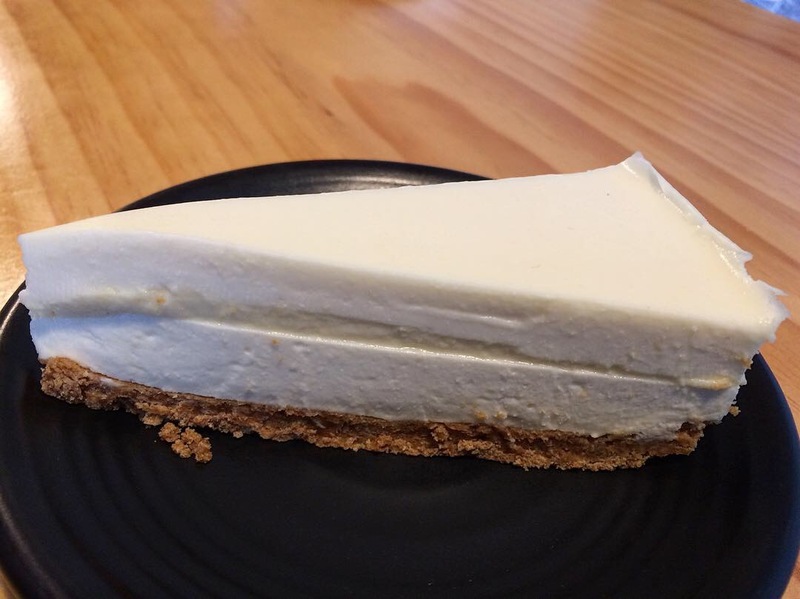 We ordered the Durian Cheesecake for dessert and it was wonderful. I’m a huge fan of the King of Fruits so I may be biased, but the layer of durian purée was sweet, gentle and perfect for first timers. That’s the story for now, but I’ll be back! Who wants to come with me? Yummy Tummy Asian Bistro at 161-16 Northern Blvd in Flushing, approximately a three block walk from the Broadway stop on the LIRR Port Washington branch, is my current go-to fave for Singaporean cuisine. 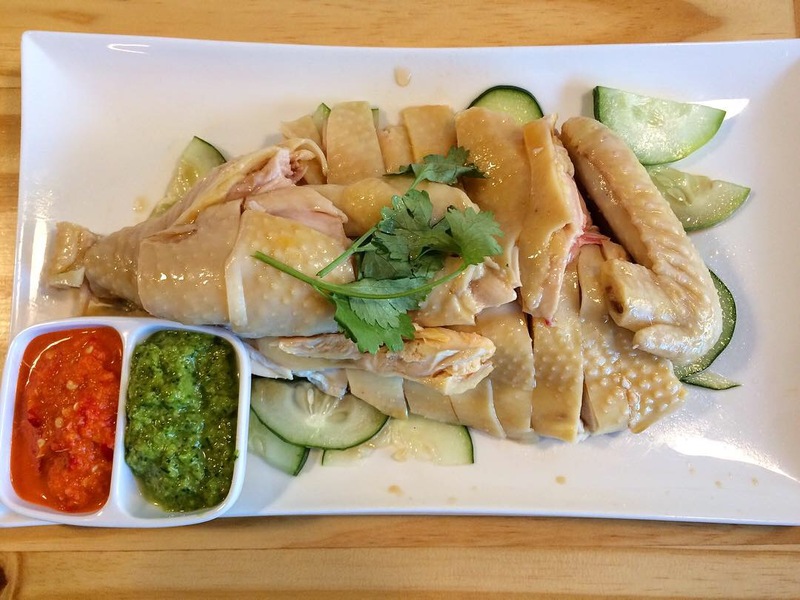 If you’ve never indulged in Hainanese Chicken, this is the place to go. It’s slow poached and comes to the table pale yellowish-white in color with slippery slick skin. Always remarkably tender, this version seems extra juicy and practically melts in your mouth; even the white meat is extraordinary. Here, it’s served with two sauces, a potent red chili sauce and a green herbal sauce the menu describes as pesto. The mild chicken and formidable sauces are a yin-yang combination that coexist in perfect harmony. I’m accustomed to seeing a particularly delicious rice made with chicken stock and chicken fat accompanying this dish, but I didn’t find it on the table; a closer inspection of the menu after I left revealed Hainanese Chicken Rice as a side. I regret missing it; don’t make the same mistake. 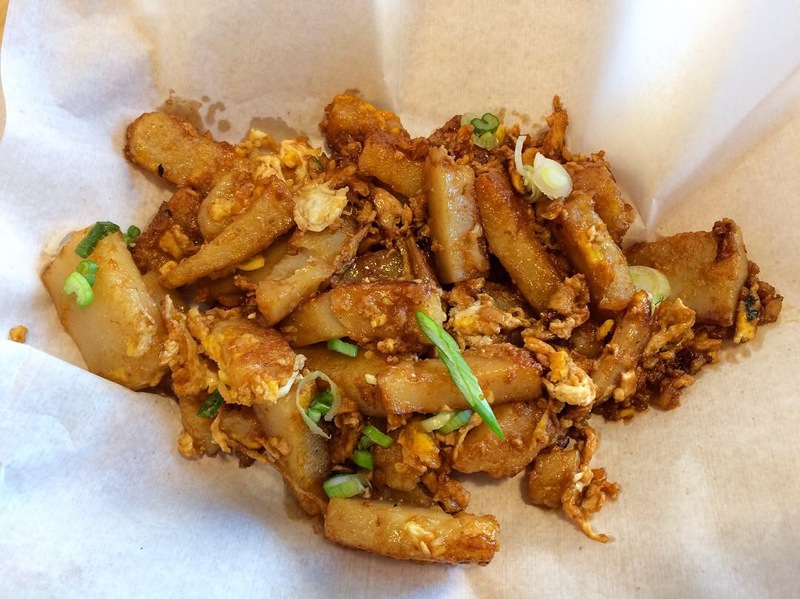 Look for Cai Tow Kueh (you may have seen it as chai tow kueh), another Singapore favorite, in the Snacks section of the menu. 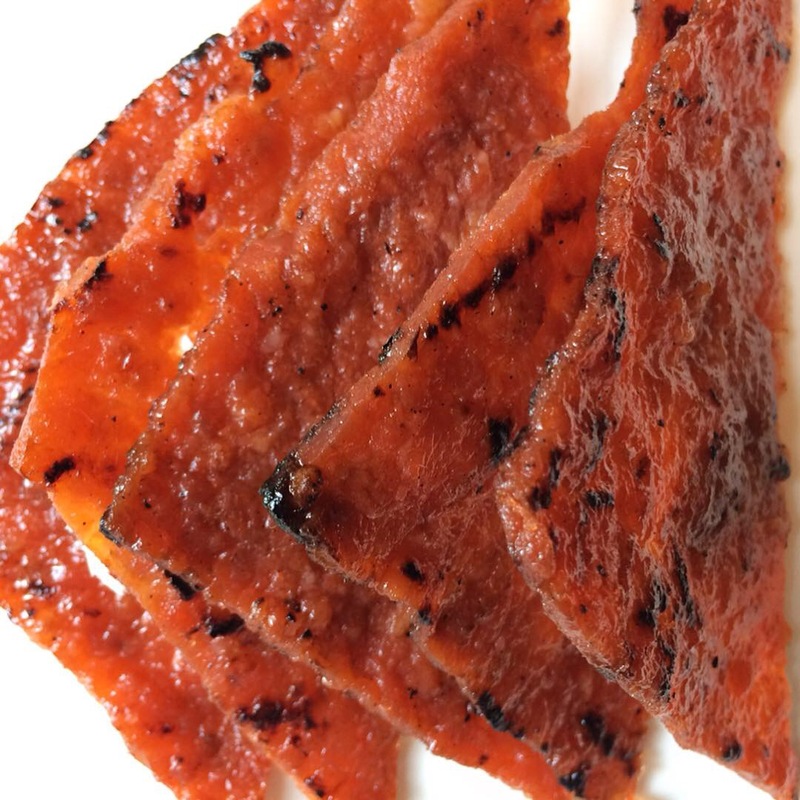 It consists of chunks of radish cake (daikon), steamed first then stir-fried along with bits of egg and vegetables in a sweet soy sauce that clings to the cai tow kueh; it’s another treat that gets high marks for both texture and flavor. It’s also available with belachan (dried shrimp paste) sauce instead of the sweet rendition; it would have been overkill to order one of each so I’ll just have to go back. Soon. More to come from Yummy Tummy Asian Bistro. 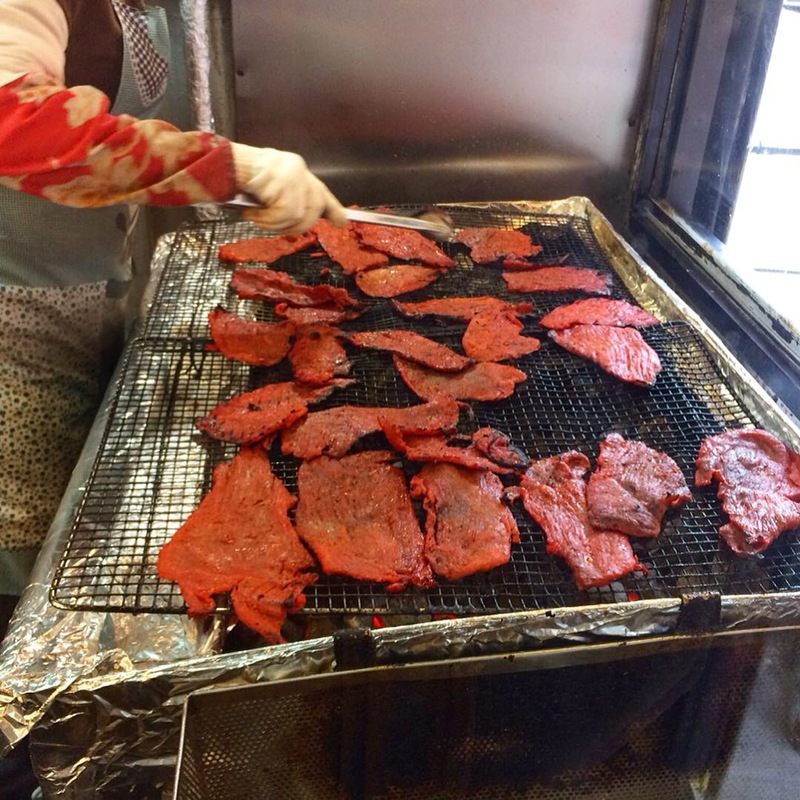 On beyond the eastern terminus of the 7 train in Flushing lies an overwhelming phalanx of Korean eateries on Northern Boulevard. One notable exception is Singapore-centric Yummy Tummy Asian Bistro at 161-16 Northern Blvd, approximately a three block walk from the Broadway stop on the LIRR Port Washington branch and definitely worth a visit. 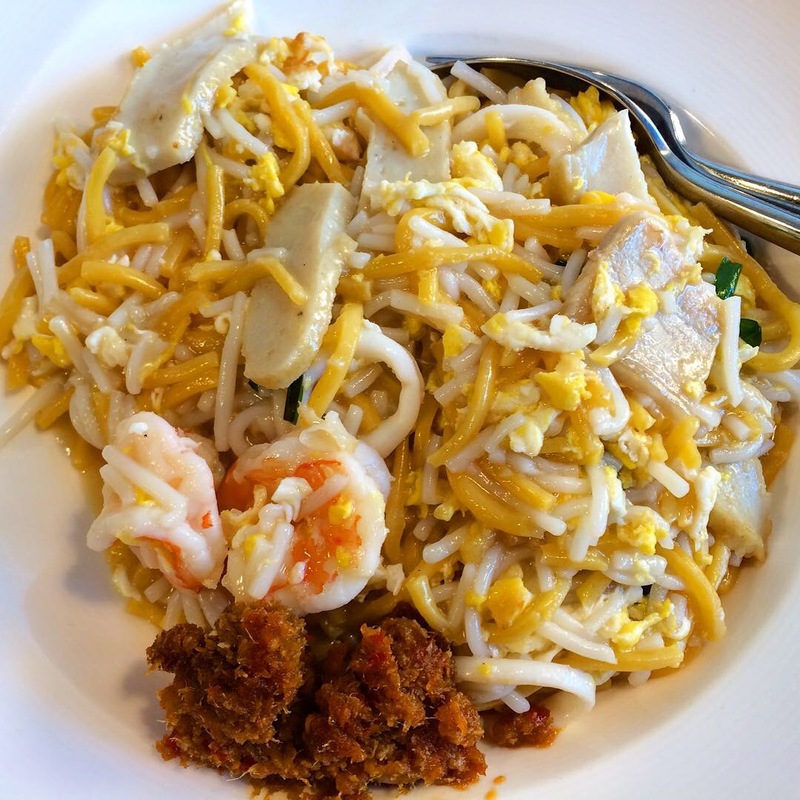 Hokkien Fried Noodles – egg noodles comingling with rice noodles, seafood (I saw fish cake, shrimp and squid), and a healthy dollop of belachan (dried shrimp paste) on the side in what the menu described as a seafood broth. I see the word “broth” and I expect soup but I’m pleased to report that it was more of a sauce, and a delicious one at that. The belachan which I’d normally describe as aggressive, wasn’t at all overpowering and was a welcome addition to the dish. 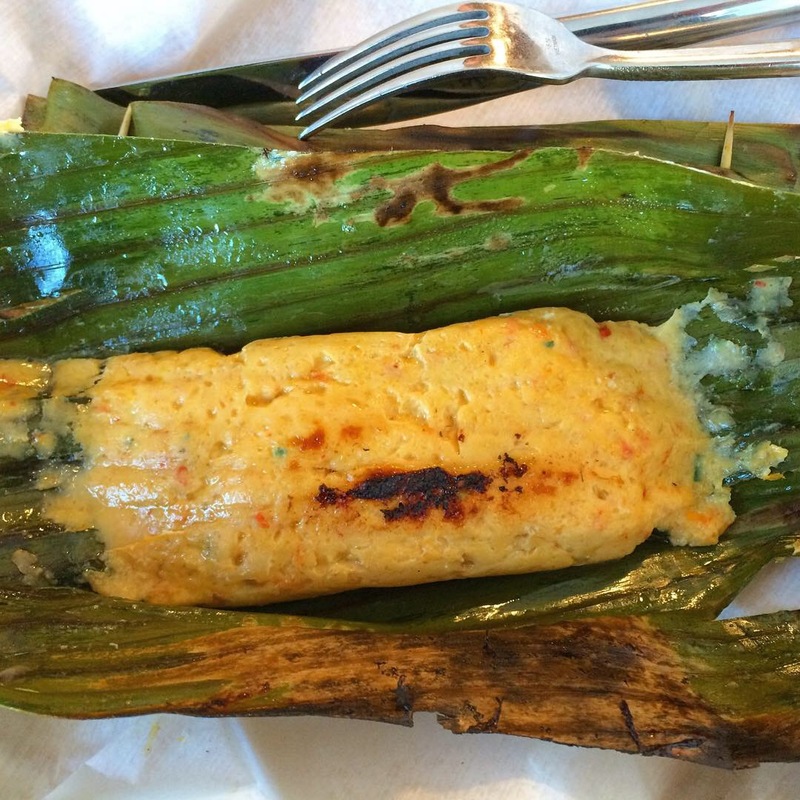 Otah otah (you may have seen otak otak on Indonesian menus) is a deftly seasoned mixture of fish and shrimp paste wrapped in a banana leaf and grilled. Each juicy bite provided a burst of seafood flavor with a gentle kick. Incidentally, the repetition of a word as part of a grammatical construct is common in Malay, and in linguistics is referred to as reduplication (a word which itself seems redundant); the Indonesian cumi cumi (squid) and gado gado (a vegetable salad) come to mind. Often, as in the case of otah², appending a “²” to the word is used as shorthand. Yum². 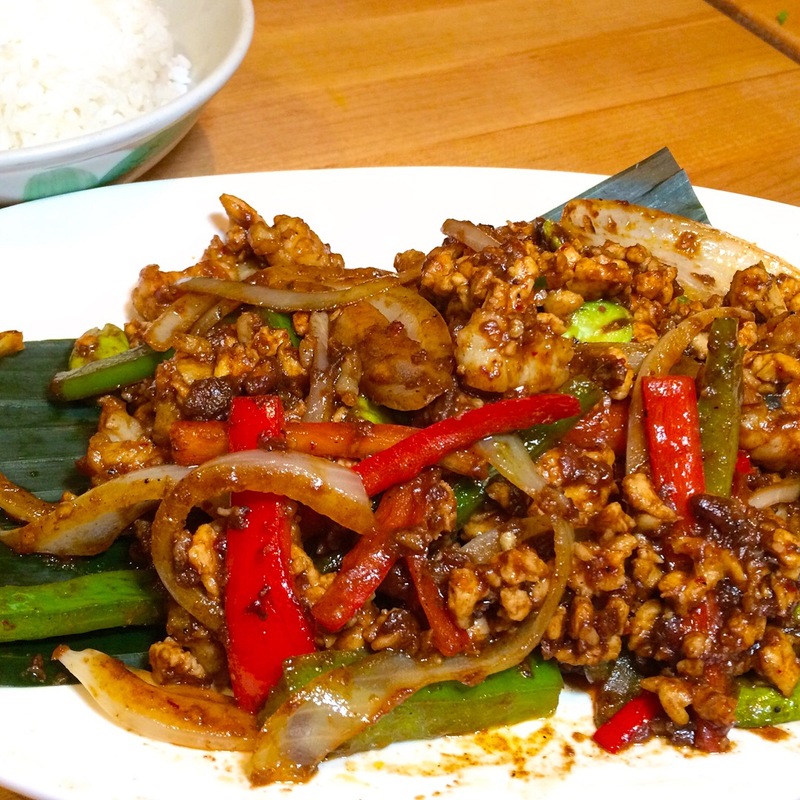 Part Two of my review of Wok Wok Southeast Asian Kitchen, 11 Mott Street, Manhattan with its dizzying array of Southeast Asian fare. Check out yesterday’s post below to see four more photos of their great cuisine. 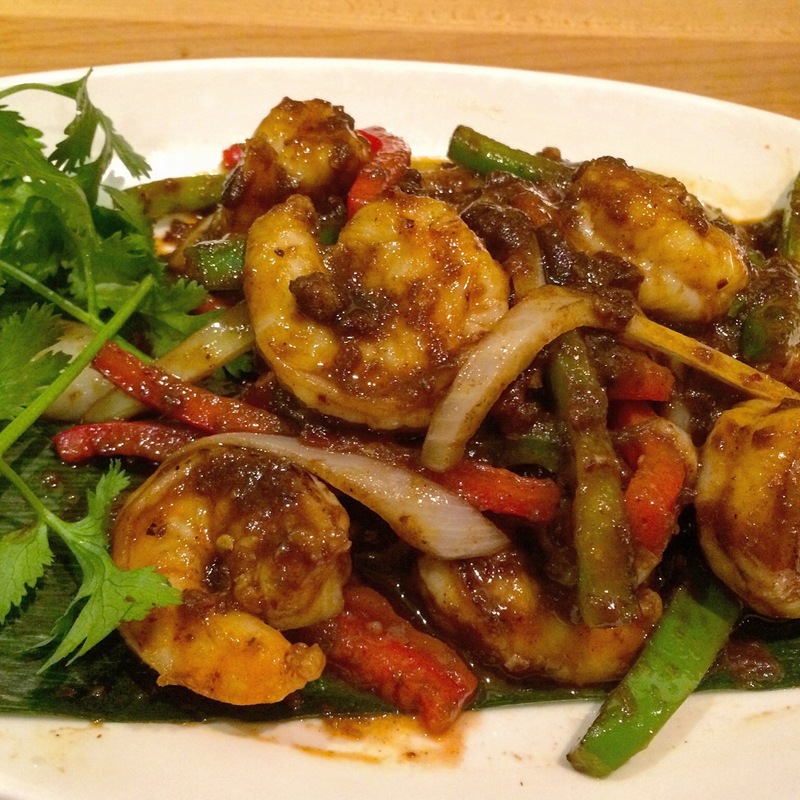 Spicy Sambal Seafood – plump and juicy jumbo shrimp sautéed in spicy Malaysian belacan sambal with onions and peppers was delicious – best enjoyed over rice. Malaysian Salt & Pepper Pork Chop had a tiny bit of sweet and sour sauce gracing it. We’ve tasted versions of this dish that were crisper and thinner and unadorned by any manner of sauce. Not bad at all, but not what we were expecting from the name. Four of a Kind Belacan – to me, the only thing these four vegetables have in common is that they’re all green! 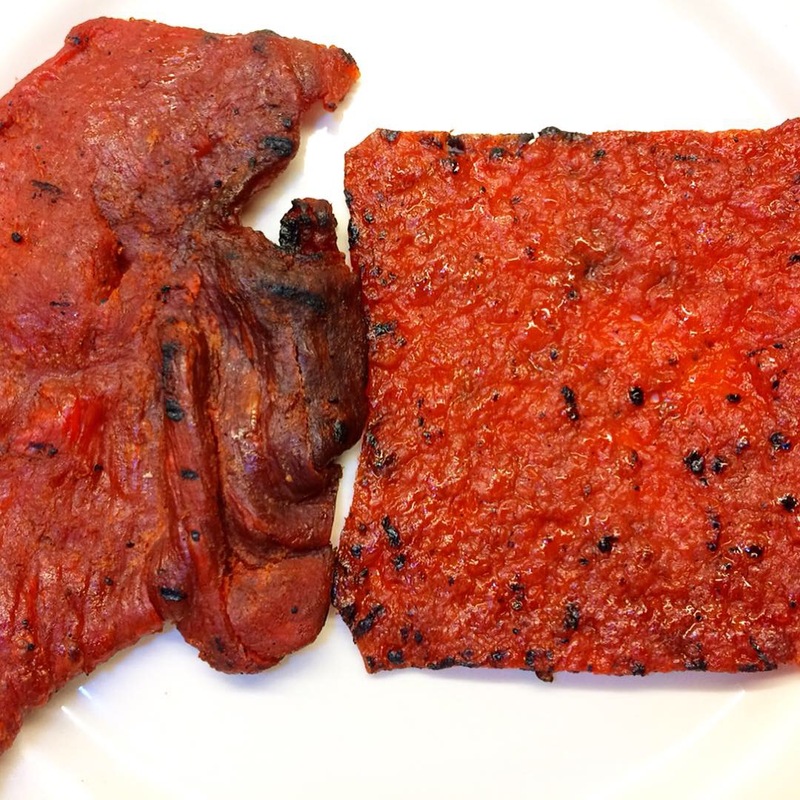 Beyond that, the flavors, textures, and even the shapes differ radically – and that’s a good thing in my opinion. 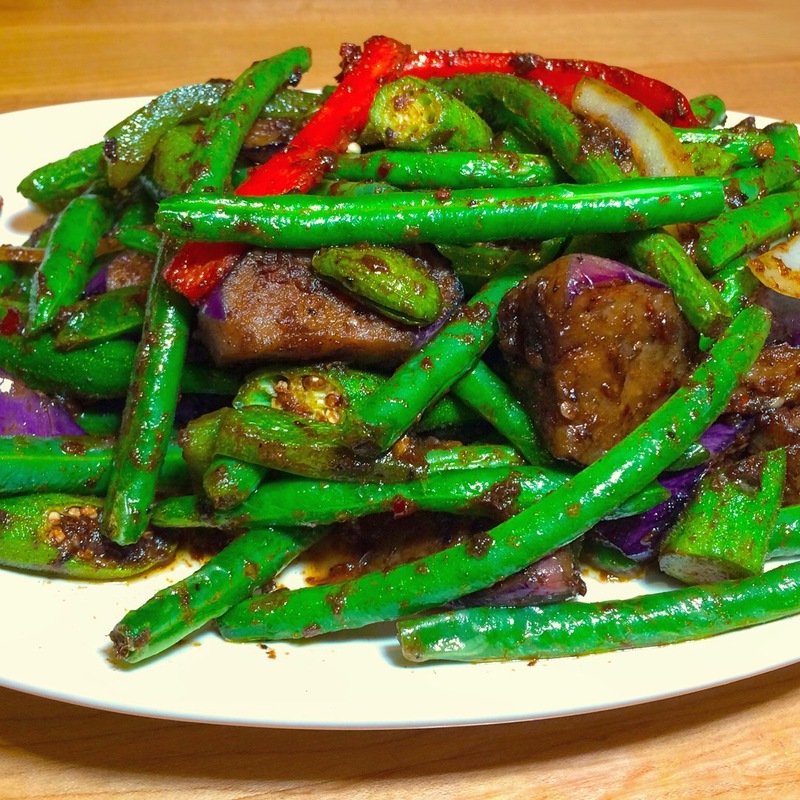 String beans, eggplant, okra (not at all slimy), and sato are united by the medium spicy belacan sambal; the combo of stink bean and belacan work well together and are a singularly Malaysian flavor profile. 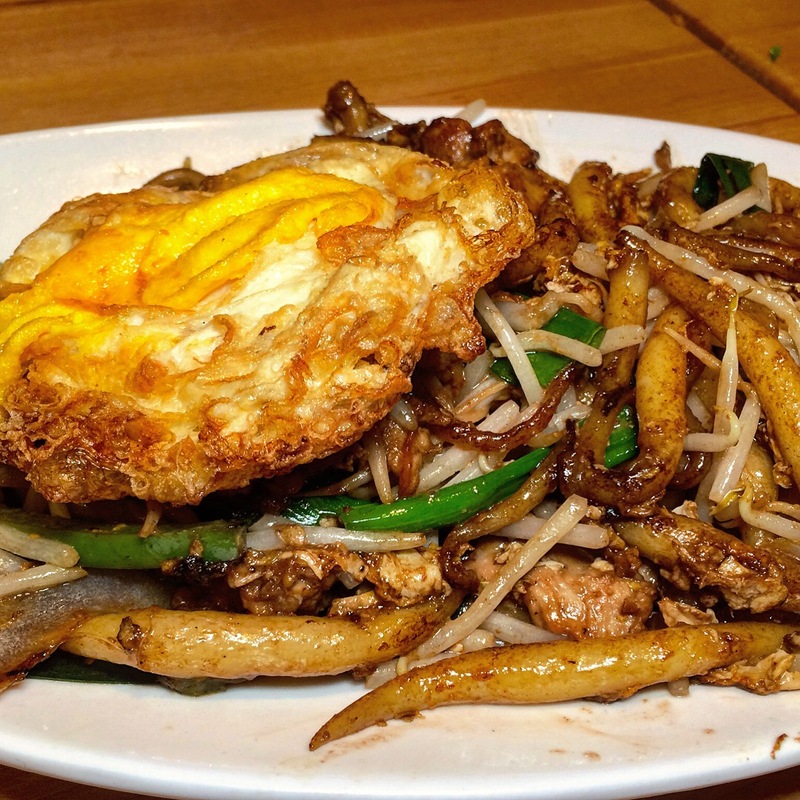 Stir Fry Pearl Noodle featured eggs, bell pepper, Spanish onion, scallion, and bean sprouts with pork. This is actually one of my favorite dishes and not all that easy to find. Pearl noodles, sometimes known as silver noodles, silver needles, and other fanciful names, are chewy rice noodles that are thick at one end and then taper to a point at the other (look closely at the little tail at the bottom of the photo). These are generally stir-fried to pick up a little browning and a lot of “wok hay”, that ineffable taste/aroma that can only be achieved by ferocious cooking over incendiary heat. Not at all spicy, this one is always a favorite. Due to a communications mix-up, a couple of dishes came out that weren’t what we ordered. Everything we tasted that day was very good, but I want to make sure that you don’t end up with two or three similar dishes – one belacan and/or sato offering is plenty for the table, you see – because I want you to experience a broad range of flavors, and Wok Wok is most assuredly up to the task. Choose a wide variety of disparate dishes, perhaps even from different parts of Southeast Asia, and you’ll go home happy and satisfied! Ever been up for Southeast Asian food but couldn’t decide which cuisine would best tickle your tastebuds? Then Wok Wok Southeast Asian Kitchen, 11 Mott Street, Manhattan, has your answer. They cover a lot of territory serving up dishes from Malaysia 🇲🇾, Thailand 🇹🇭, Indonesia 🇮🇩, Vietnam 🇻🇳, Philippines 🇵🇭, India 🇮🇳, Singapore 🇸🇬, and various regions of China 🇨🇳, and perusing their colorful menu is like taking a survey course in popular street food of the region. 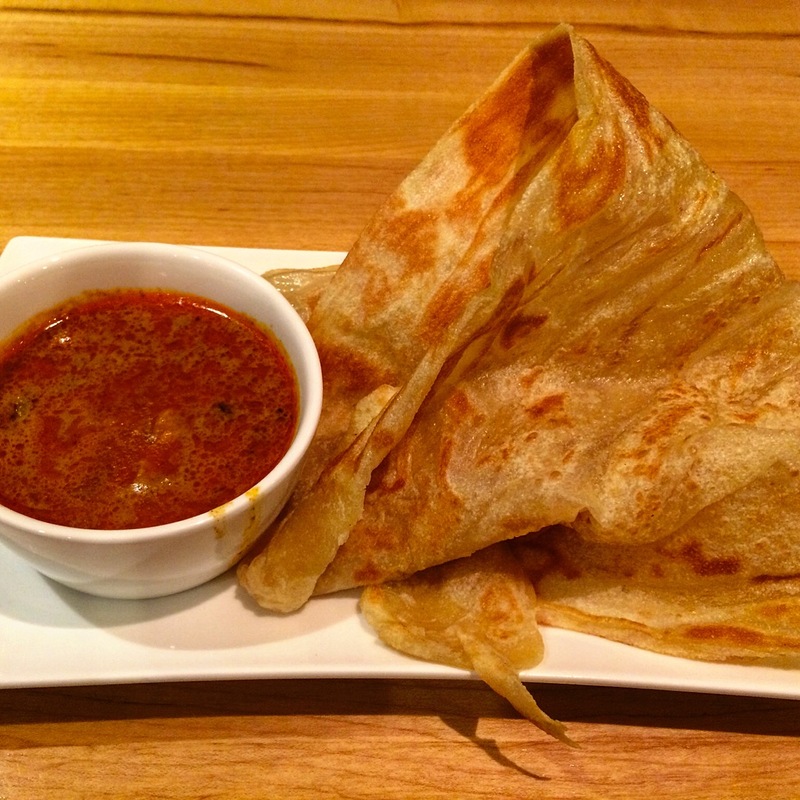 We started with Original Roti, a dish you may know as roti canai, consisting of Indian style flatbread with a chicken and potato curry sauce for dipping. Properly crispy outside and fluffy within, it was the perfect medium for savoring the luscious sauce. 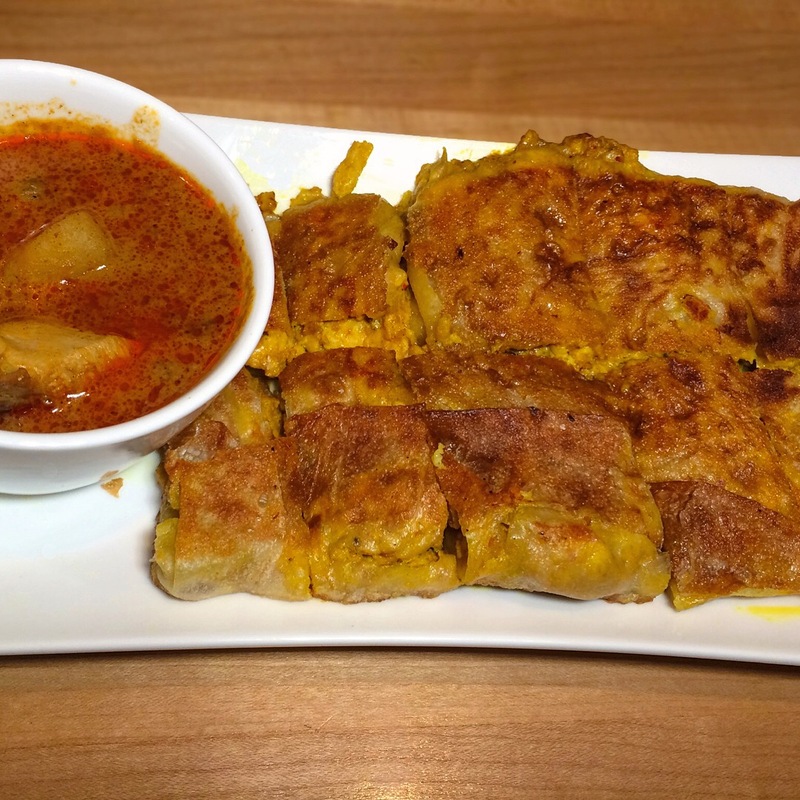 Roti Murtabak, another crepe folded around a spiced chicken and egg mixture also accompanied by the potato chicken curry, had a pleasantly spicy little kick to it. A cut above what we’ve had elsewhere. Our soup course was Hakka Mushroom Pan Mee, a study in contrasts. 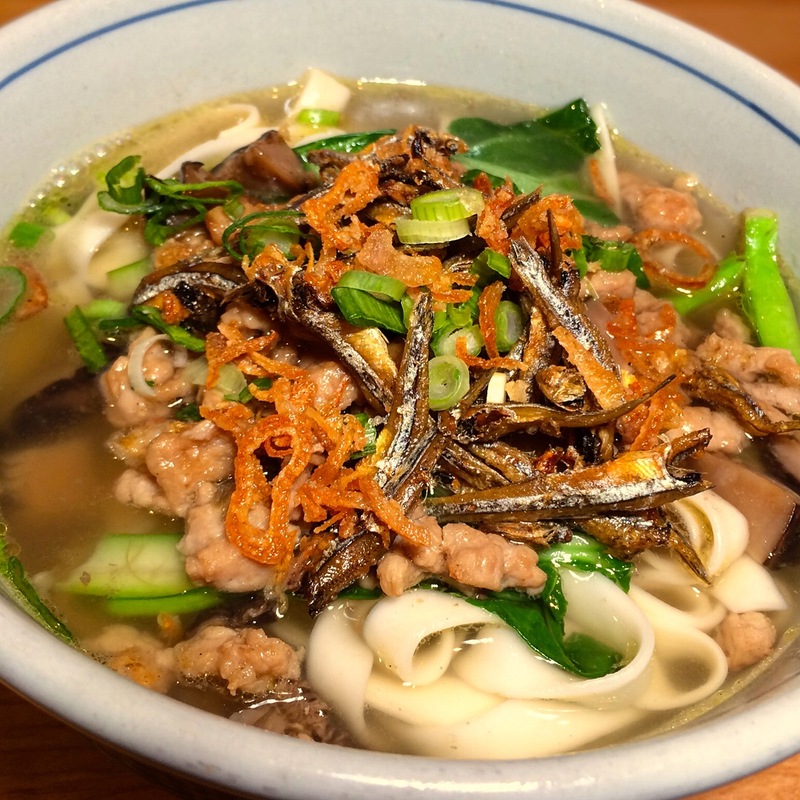 Springy handmade noodles topped with silvery crispy dried anchovies, earthy mushrooms, chewy bits of minced pork, and tender greens in a clear broth that was richer than I anticipated. Spicy Minced Chicken, Shrimp and Sato. Ground chicken and chunks of shrimp with sato cooked in a belacan based sauce. Sato, also known as petai and sometimes stink bean, is a little bitter, a little smelly perhaps, but quite delicious. Belacan is fermented fish paste; most Southeast Asian cuisines have their own spin on this pungent condiment, and it’s particularly characteristic of Malaysian food. Maybe it’s an acquired taste, but I think this dish is delicious. Stay tuned. More to come tomorrow….